Any credentialing or certification exam is bound to induce terror, regardless of the profession. The Certified Coding Specialist (CCS) exam is no exception. There is good news, however. It is possible not only to decrease some of the anxiety those exams create, but also to pass them on the first try. 1. It’s just a test. You’re not giving up a kidney. I kept things in perspective and tried to consider my test session a trial run. Yes, the stakes are high — they should be or the credential would have no value — but don’t let it define who you are. If you don’t pass the first (or the second) time, you are not stupid or a “bad” coder. Learn from your test session. When you take the test again, you will be armed with experience. And that’s a very good thing! 2. Pace yourself and don’t over-prepare. I followed a sane schedule to work through one section at a time. When I finished that section, I was done for the day. Also, don’t schedule your test too far out. When I finished my preparations I went for it. I figured, either I knew it now or I didn’t. If you’re starting to code in your sleep, it’s time to take a break. I personally highly recommend “retail therapy” but if you are so inclined consider enrolling in a prep class like Libman Education’s Certified Coding Specialist (CCS) Exam Review. 3. Own what you know, skim the rest. Most recommend taking a mock test first to identify your strengths and weaknesses, and then focus on shoring up your weak areas. There’s nothing wrong with that, but I did something completely different. My skills are strongest in inpatient coding. There was no way I was going to learn all the ins and outs of outpatient coding in a month, so I didn’t try. My strategy was to really know my strengths, and score as close to 100 percent as I could in those areas. I then simply familiarized myself with the outpatient topics in the prep books (e.g. APCs, status indicators, guidelines). I let my strengths carry me through and was just solid enough in my weak areas not to tank them on the exam. 4. Make the clock your friend. You will need every minute of the four hours allotted for the CCS. Get used to being under the gun now and time your mock tests. I budgeted 90 minutes to complete Part I, the multiple-choice section. I wanted to give myself plenty of time to do Part II, the case study section. Between test jitters, hard questions, and the bad fever and bronchitis I was nursing, Part I took longer than I anticipated. Still, I finished the entire exam an hour early because I was prepared. 5. Know the Coding Guidelines. Cold. Medical coding is all about the Guidelines. Get your hands on the Guidelines, whether in your codebooks, prep books, or free online material. I did all three. You don’t have to memorize the Guidelines, but know the gist of each one thoroughly. Yes, even those esoteric Obstetrics ones in ICD-10-CM. Also be sure to study the guidelines which match the exam you will be sitting for – the current CCS exam is testing on the 2018 codes and guidelines. AHIMA has announced the date for transition to 2019 as May 1, 2019, meaning the 2018 exam will be offered through the end of April. Know when you are going to take the exam and don’t study with obsolete information. Passing the CCS on the first time is possible. Study smart, be confident in what you know, manage your time, remember to breathe, and most importantly, keep the exam in perspective. You will do great! 6 Choices to Help You Prepare for the CCS Exam – Which is Right for You? Libman Education offers 6 different ways to help you prepare for the CCS Exam (including 2 options just for CDI Specialists!). Choose the option that best fits your learning style. Develop the skills you need to pass the CCS! Learn more here. 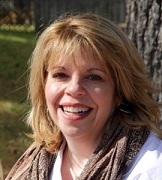 Cindy Kibbe is a CCS-credentialed coding professional and an award-winning writer. She also has a background as a clinical application analyst, a quality management coordinator, and a registered medical technologist. She is currently seeking a position as an inpatient coder or HIM coordinator. It was my first try and I also passed my CCSP last month and CPC October 2017. I’m just starting to return to field as there are so many avenues now in the HIM HIT Information. I know that the CCS self prep exam help tremendously..